The Vantage Point pod is Refined Data Solutions’s patented extension for teaching online and is revolutionizing virtual classroom technology. It is our most advanced custom pod for Adobe Connect as it allows an instructor to literally see all participants all the time while being able to remotely control participants’ cameras, microphones or phone connections, along with a number of other aspects. To learn more about the Vantage Point pod, click here. The control offered in this virtual classroom is now integrated with the Refined Training platform to capture user interaction and attendance at live events and reconcile that information in the LMS. This integration can translate certain thresholds into grades to be used as prerequisites for other activities in a learning path or to issue certificates. The integration between Vantage Point and the Refined Training platform securely integrates the functionality of using Vantage Point as a Connect Activity meeting grading option within the Refined Training platform. When Vantage Point is selected as the grading option of a meeting activity, Vantage Point stores the session data, provides the the ability to alter the data, and sends the data back to the LMS . The Vantage Point pod must be added to the meeting room that is associated with the LMS meeting activity. Click here to learn how to add the Vantage Point pod. Add an Adobe Connect meeting activity to a course. In Grading Options select Vantage Point Interaction and set the grading thresholds. Thresholds translate a range of scores from Vantage Point to scores that the LMS captures on the grader report and can be used to do things like unlock certificate activities. Grading thresholds allow for the grades achieved in the Vantage Point session to reflect a grade achieved in the LMS. For example, a user may only need to achieve a 70% or more to pass the course and receive a certificate. In the example below, by setting “Threshold 1 -- 70% 100%”, the LMS knows that any participant who has a grade reported from Vantage Point of at least 70% or more, will have a grade reported as 100% in the grader report. The second threshold, “Threshold 2 -- 65% 69%”, would let the LMS know that any participant with a Vantage Point grade of 65% to 69% will have a grade reported at 69% in the grader report. Any participant with a grade of 65% or lower reflects a grade of zero. If the participant did not engage in the activity, then no grade appears in the grader report. By choosing the Vantage Point interaction as a grading option, the LMS will pull the percentage of challenges from Vantage Point and calculate a grade percentage when the thresholds are set. If there are no thresholds set, then the percentage from Vantage point is stored as the grade. Grades are reported to the Grader Report after two cron runs (a delay of up to 30 minutes). If any participants fail to obtain a grade at or above the lowest threshold, the student receives a grade of zero. In the example above, any responsiveness that is less than 65% of challenges would not show a grade for that participant in the Grader Report. All grades that are 70% or higher would be reported as 100%. This 100% grade can automatically issue a certificate based on the Meeting Completion settings. If all thresholds are set as NONE, the raw percentage results for all participants appear in the Grader Report. At the designated meeting date and time, the meeting will run and a Vantage Point session will be tracked by the pod. When the Vantage Point session or sessions are ended in the meeting room, the Vantage Point pod will save all session data and push a grade to the Refined Training platform. The duration in Adobe Connect will not match the duration of the meeting in the LMS. This is because the duration for any meeting activity needs to be stored in Moodle so that the duration doesn’t rely on the information stored in Adobe Connect. Therefore, if a change to the meeting duration is made in Adobe Connect, that change won’t affect the meeting duration in the LMS. This is important for grading, as Vantage Point checks for the duration of the meeting when the meeting ran, and not for the duration of the most recent instance of the meeting. It is also important to note that a Vantage Point session should not be started more than five minutes prior to the start time of the designated meeting time in the LMS, as the grades will not be captured. Otherwise, the total number of questions asked in Vantage Point and the total number of answers is not recorded correctly in the Vantage Point session history. The Vantage Point console can be opened prior to five minutes before the meeting start time; but the session should not be started. As part of the integration of Vantage Point with the Refined Training platform, a link to the Vantage Point session data appears in the mouse over of each meeting activity in a course. This link appears when the Vantage Point Interaction is selected as the grading option when the meeting activity is created. In the background, each Vantage Point session gathers participant data during the meeting and reports upon this data. The Vantage Point session link makes it easy to access this session data for every Vantage Point session that is run. Hover over the meeting icon after the meeting has completed and select Vantage Point Past Sessions. Only users who have permissions to create and edit activities in the Refined Training platform have access to the Vantage Point Past Sessions link. Users with access to the link have access to the session data and are not required to log into Adobe Connect an additional time to access the data. When the link is clicked, a page is displayed showing the meeting room URL, start time, and end time. The option to view the Vantage Point session within Vantage Point is accessed by clicking View in Vantage Point next to each session listing. Clicking this link will launch the Vantage Point pod session history page and will display a listing of all sessions by meeting title, start date, and duration. Sessions can be filtered by selecting meetings from a date range using the calendars. The View/edit session report button appears next to every session listing. This provides the session data output page that lists all the hosts, presenters, participants, and challenge questions. A participant’s answers to each challenge presented throughout the Vantage Point session can be edited by clicking Enable editing. When the editing is complete, click save and close at the top of the window. The new grade(s) are stored in the Vantage Point database. With the release of RT 3.3, those grades can be pushed back to the Refined Training platform at a time other than the meeting time in Adobe Connect. RT NOTE - Previous to the Vantage Point integration, recurring meetings were deleted from the database once they were used. 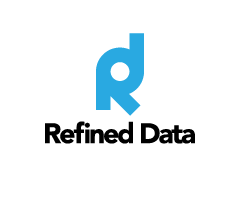 Refined Data Solutions has updated this so that previous meetings that use recurring meetings are listed. However, only past meetings from the time that the Vantage Point integration was released will be listed. The session data stored for each Vantage Point session can be edited for regrading. Administrators have the ability to make changes to the session data. All regrading is done inside the Vantage Point pod session data. The pod acts as the source of truth for the LMS. To regrade a challenge inside a Vantage Point session, click View/edit session report on the Vantage Point session history page. A participant’s answers to challenges presented through Vantage Point can be edited by clicking Enable editing. Enable editing provides the administrator the ability to change the answer for each participant for each challenge. Answers can be updated to any other answer provided or the participant can be marked as Declined tracking, Not present, or Missed. When any updates are made to a participant’s answers an “!” icon appears next the the changed answer in the Vantage Point session history page. Hovering over the icon with the mouse will display a message with a date and time stamp and name of the administrator who made the update. Click save and close in the menu bar at the top of the window to save all updates in the Vantage Point database and return to the Refined Training platform. Click Back to Refined Training to return to the LMS platform and the course. Please NOTE: The listing of sessions in the LMS appear with the date and timestamp of UTC. In Vantage Point, the session listing appears with the date and timestamp of GMT. These are the same timezones as there is no difference between UTC and GMT. The Vantage Point integration allows for the Vantage Point session data to be passed to the LMS with a grade associated to the number of answered or unanswered challenges. The LMS can use this information to determine if a certificate activity should be unlocked for the end user. After setting the Vantage Point grading thresholds in the meeting activity, set the access restrictions to the certificate activity based on the meeting activity grade. Click here to learn more about conditional grading for certificate activities.